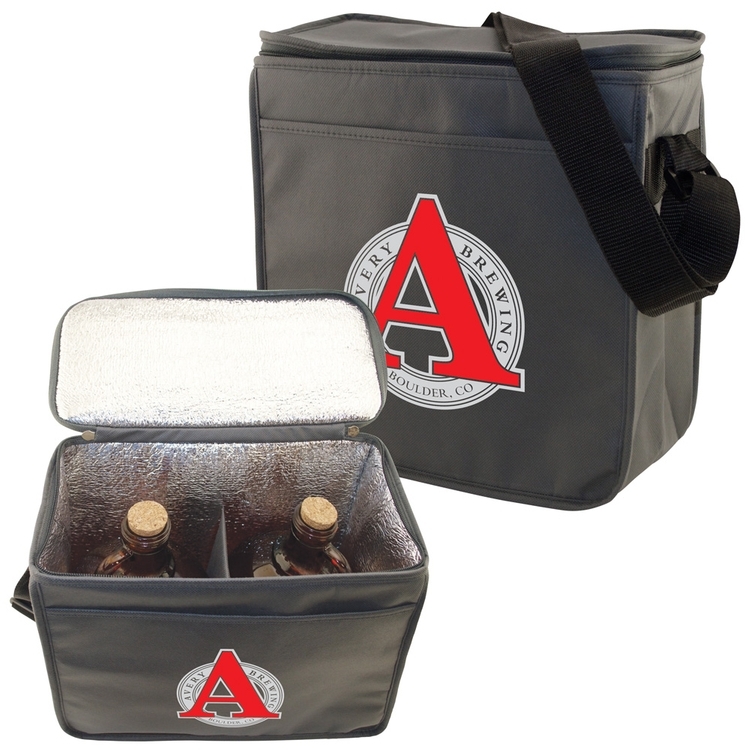 The Brewery Industry will love this insulated bag! 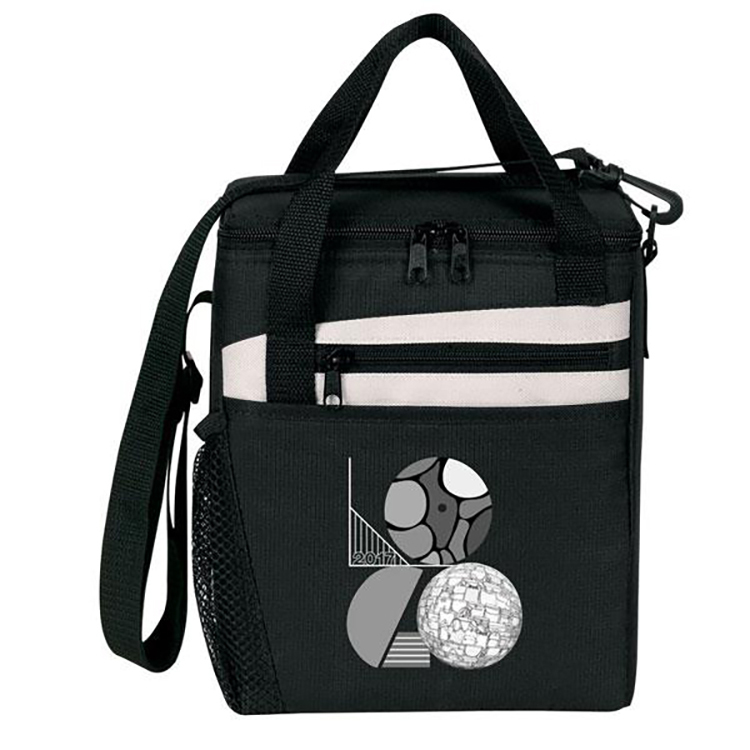 Sized to hold two 64 oz. 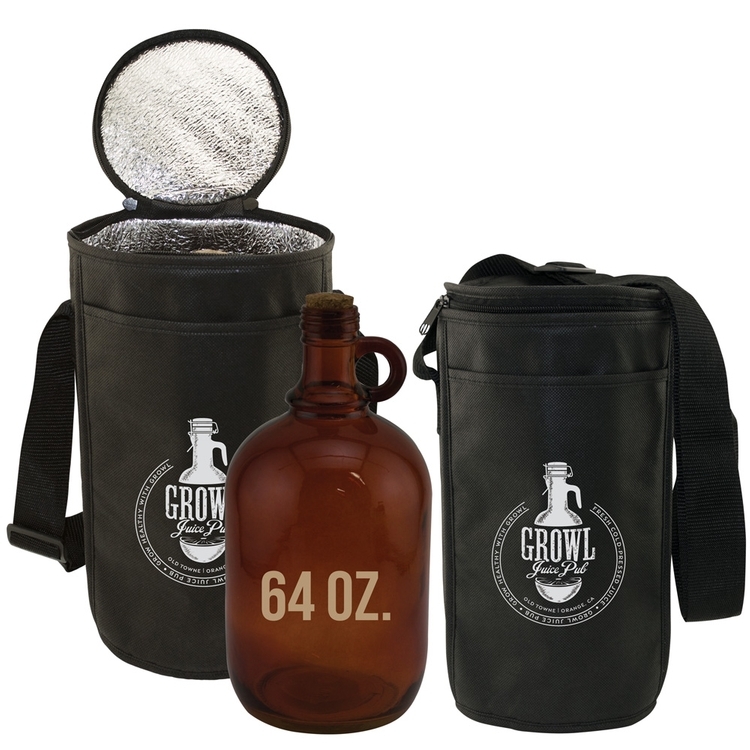 growler bottle, ensuring your brew stays nice and cool. 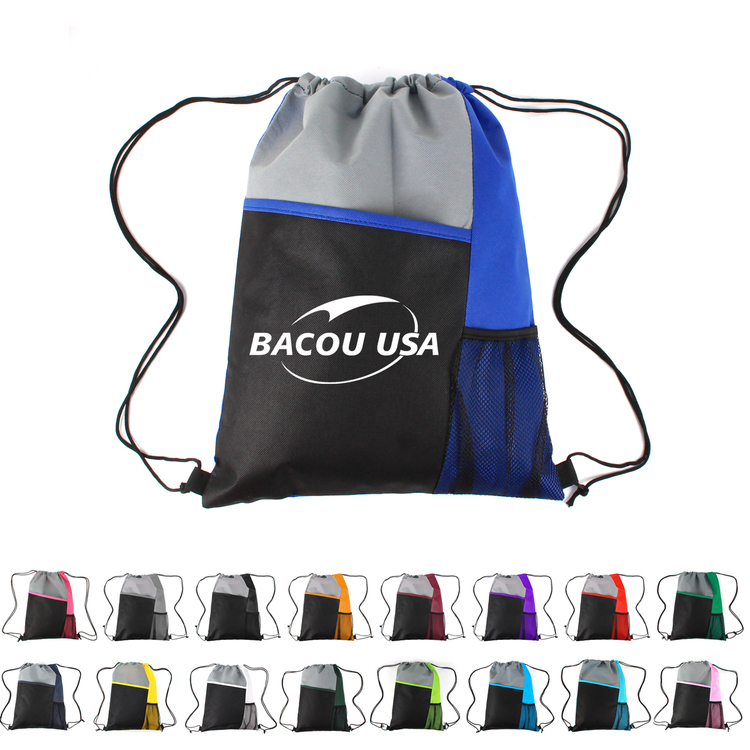 Made from 100 GSM non-woven polypropylene with thermal insulation, with an adjustable shoulder strap. 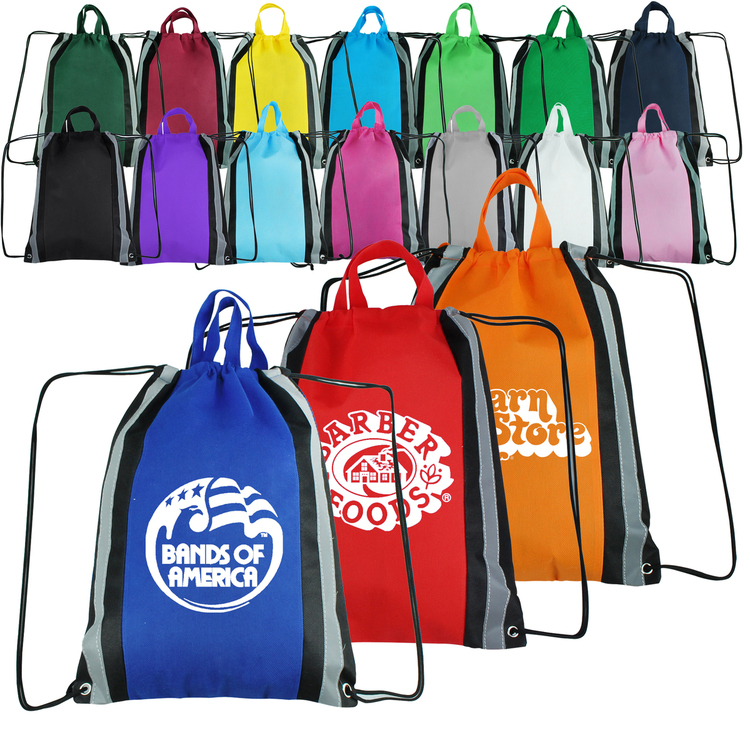 The large, front slip pocket, is the perfect place for breweries and beer festivals to show off their brand! 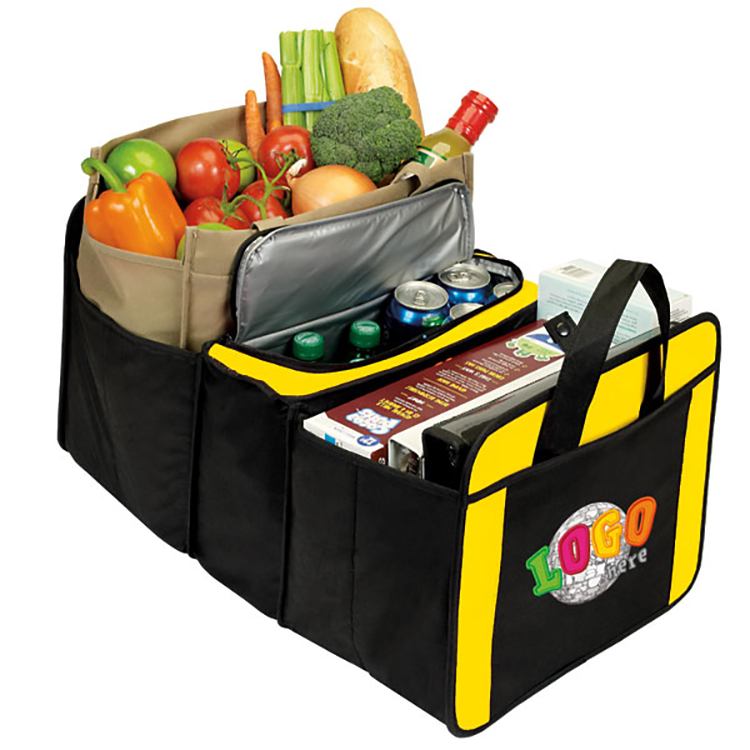 What better than a grocery tote with thermal insulation? 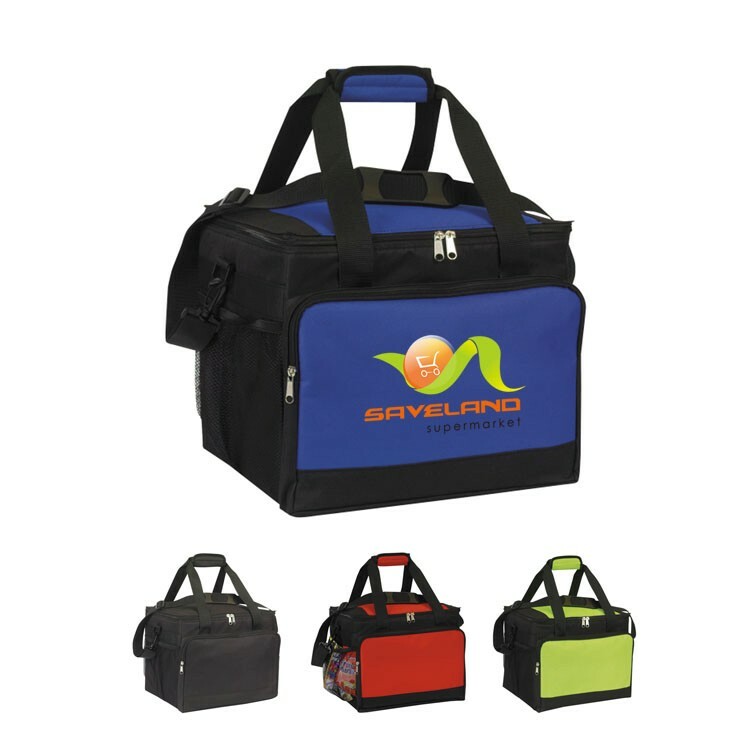 Made with 100 GSM premium non-woven polypropylene, this tote features a zipper closure, reinforced handles, thermal insulation and a black pvc bottom board. 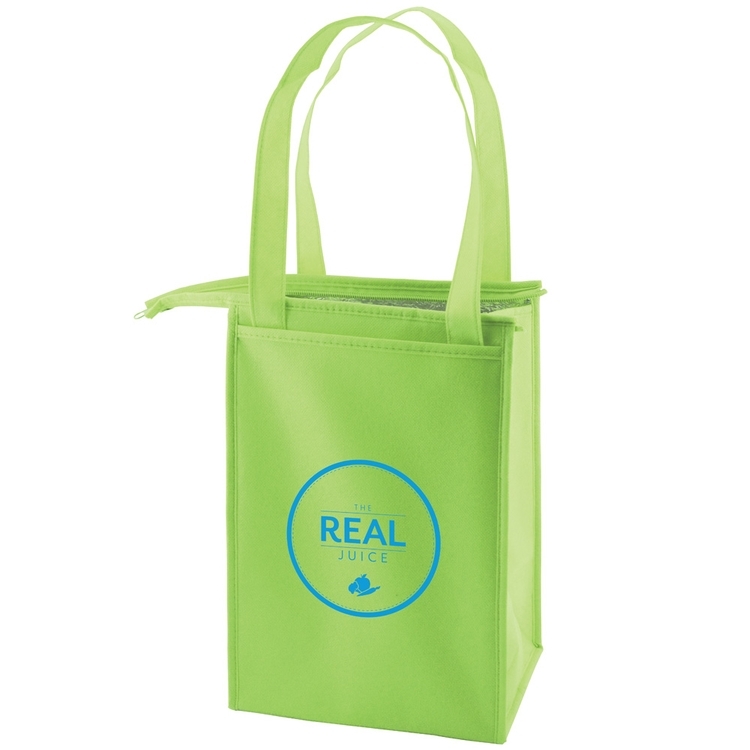 Ideal for restaurants, farmer markets, grocery stores and so much more. 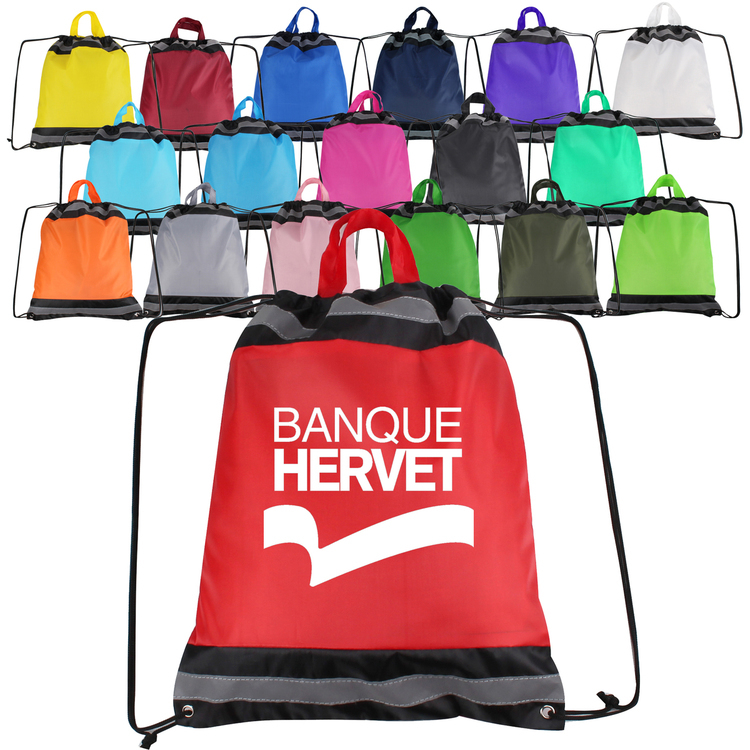 Available various colors in 2 sizes. 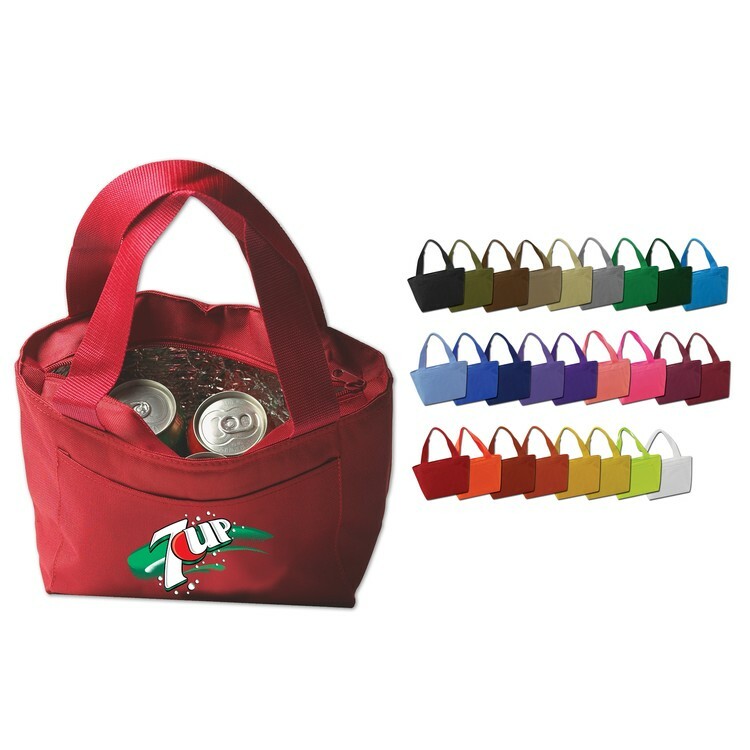 Sold per case. 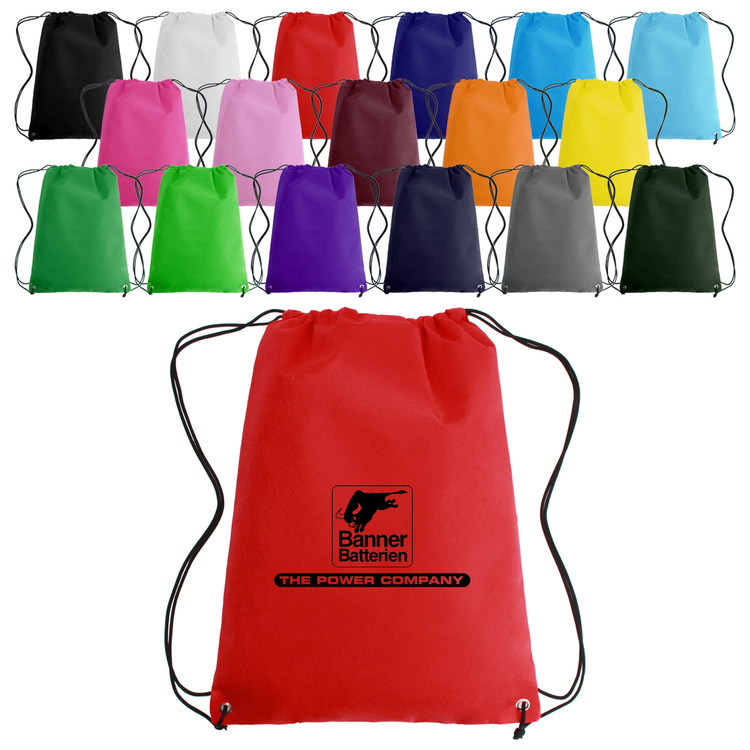 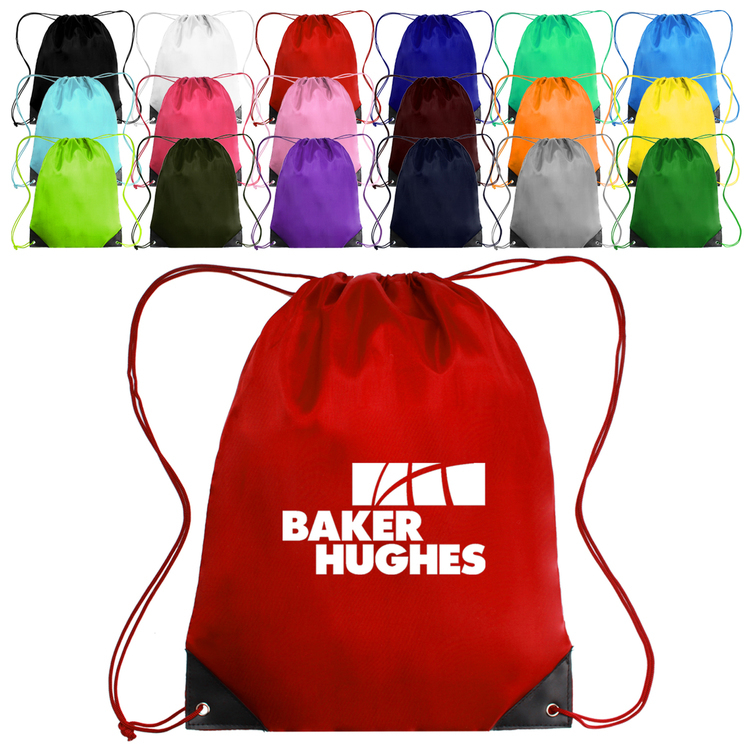 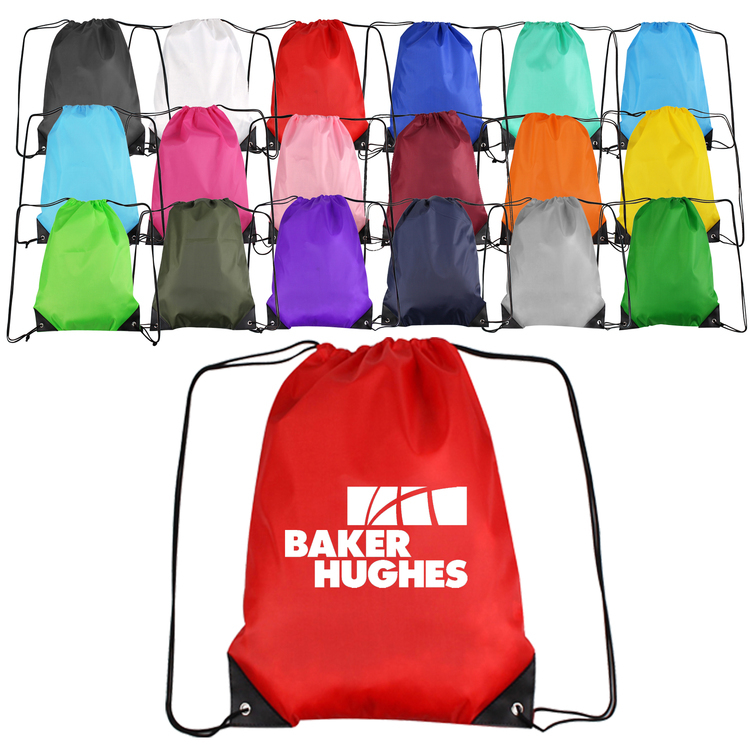 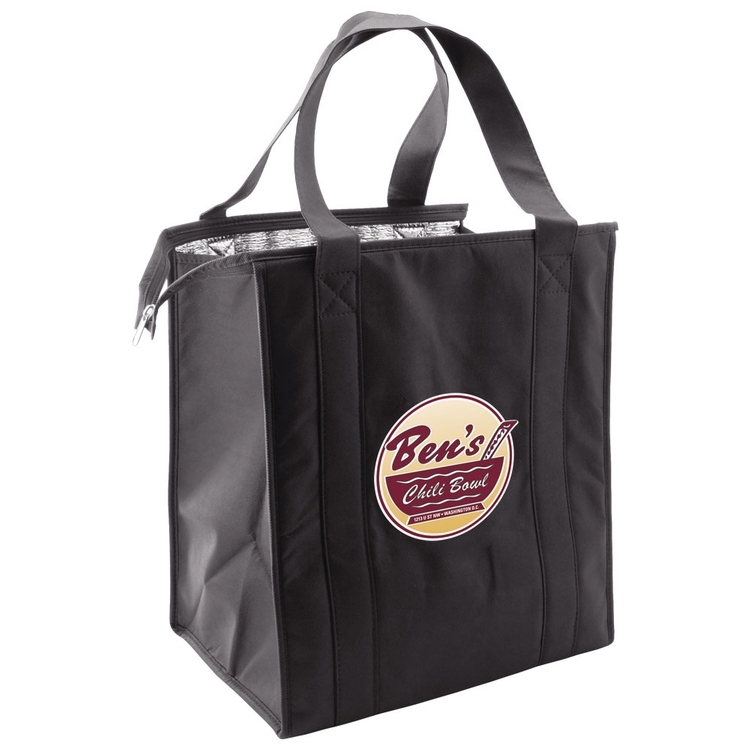 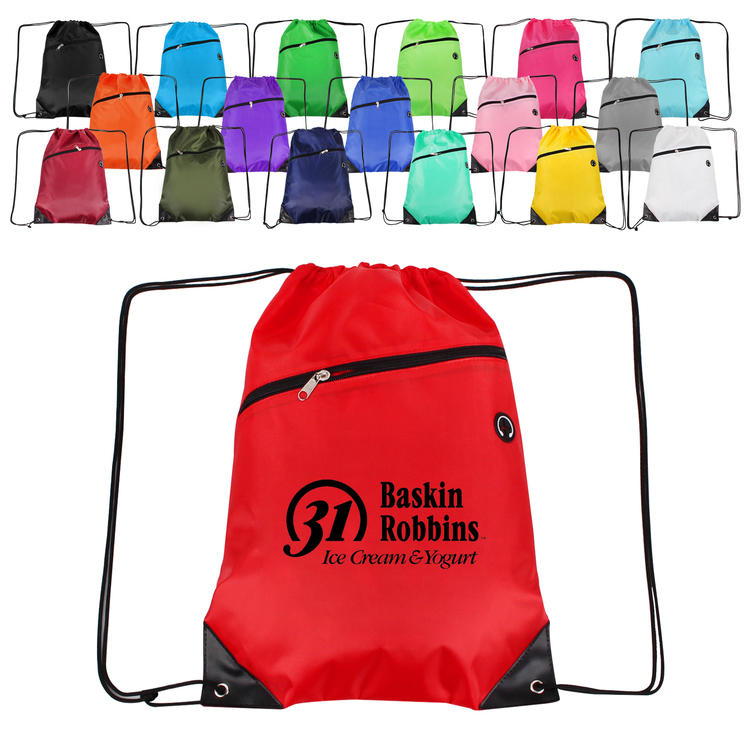 Insulate your brand with maximum exposure using this grocery tote with thermal insulation! 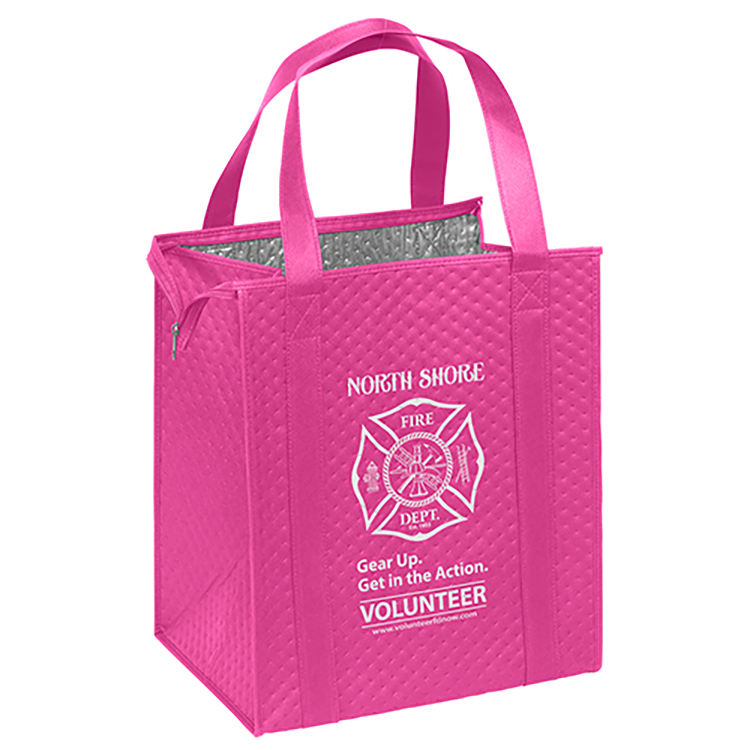 Made with 80 GSM premium non-woven polypropylene. 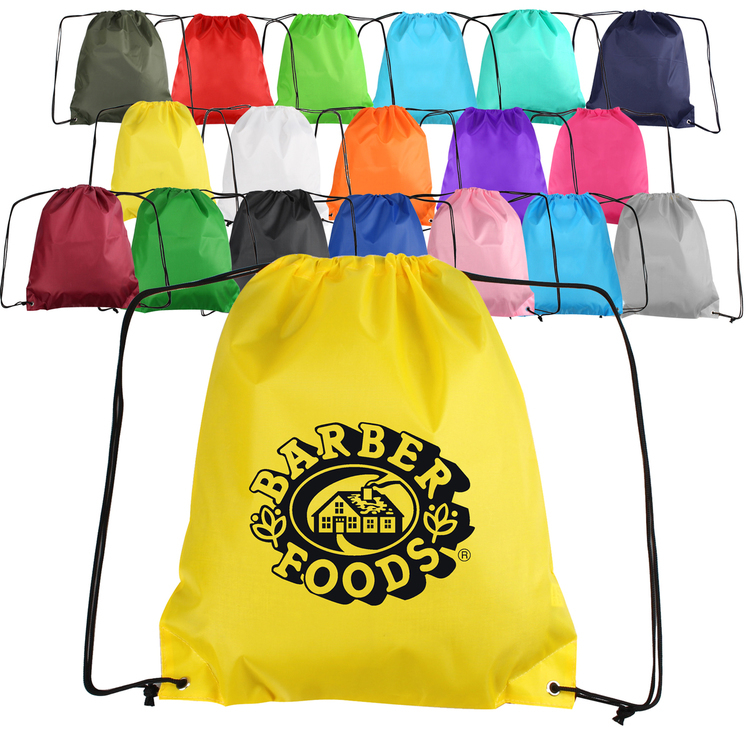 Ideal for restaurants, farmers markets, grocery stores and so much more, choose one of the bold color options and customize with your company name and logo. 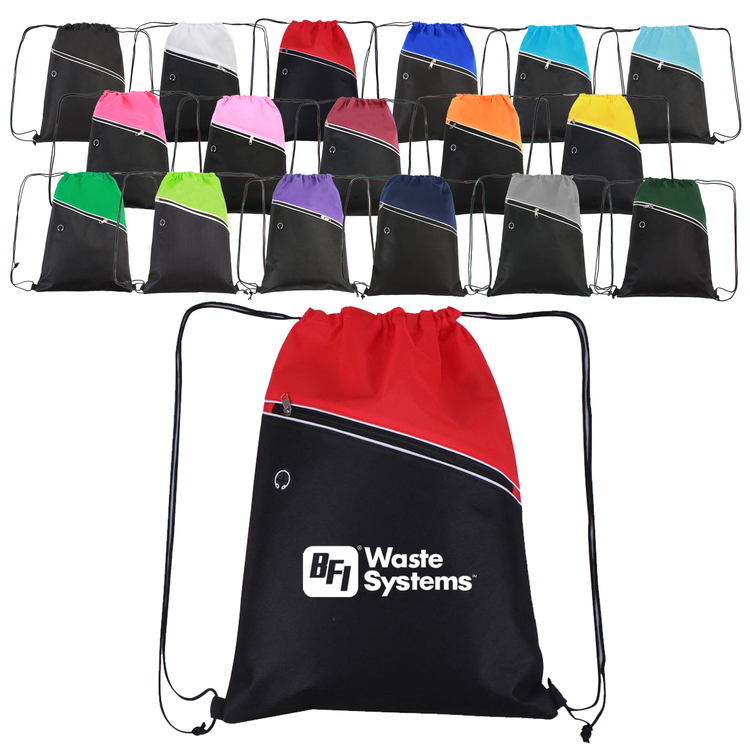 What a fantastic giveaway choice to promote your business and services! 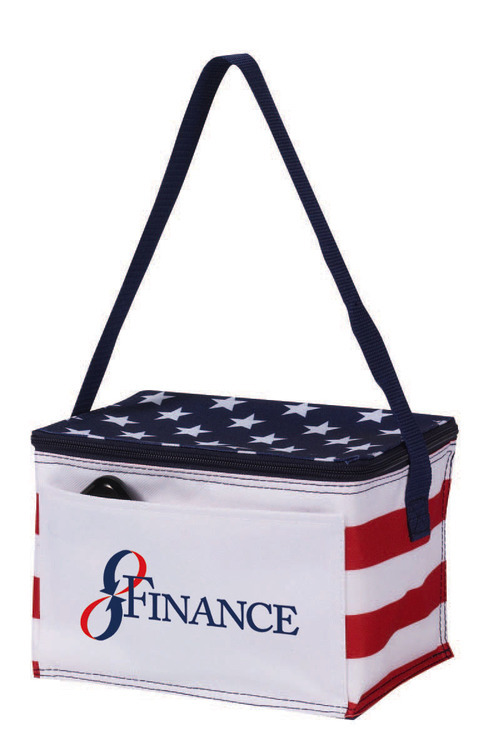 Double up on your success at any convention, tradeshow or special event with this Double Compartment Cooler! 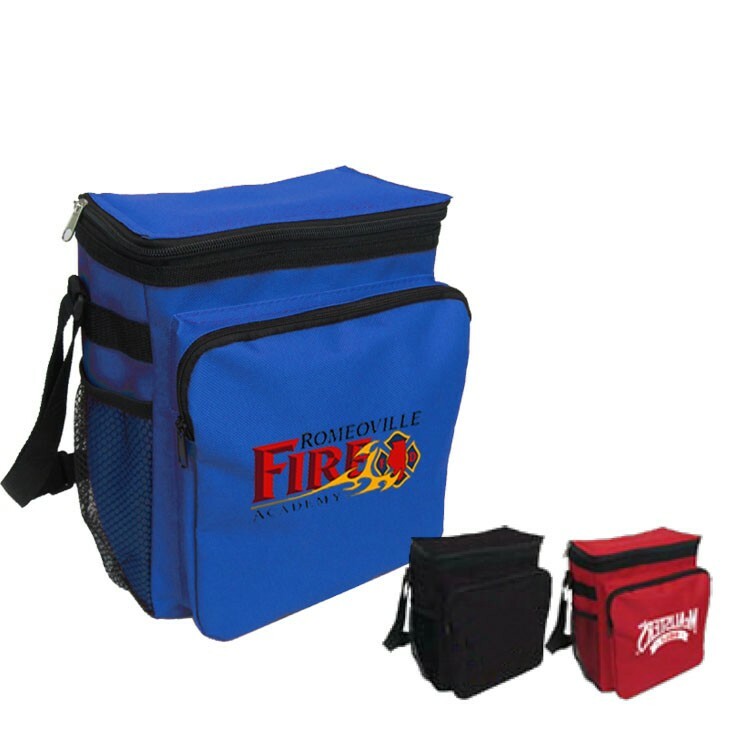 This compartmental fully insulated cooler features an open front pocket, back mesh pocket and adjustable shoulder strap measuring 22''-41'' so you can easily take it on the go. 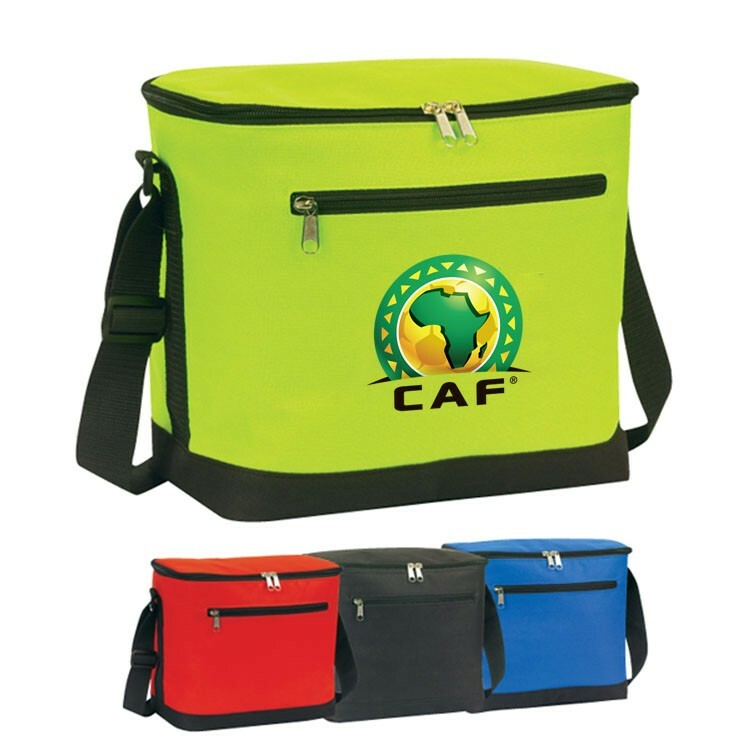 Constructed of 600 denier, this cooler comes in a variety of colors and can be customized to match the unique needs of your promotion or event. 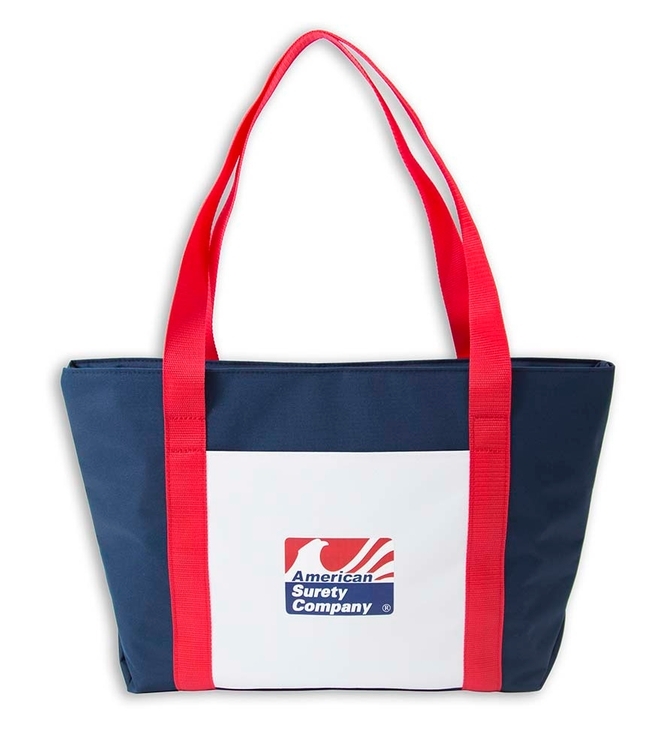 Carry your casserole to your potluck or your groceries home from the store with this shopping tote. 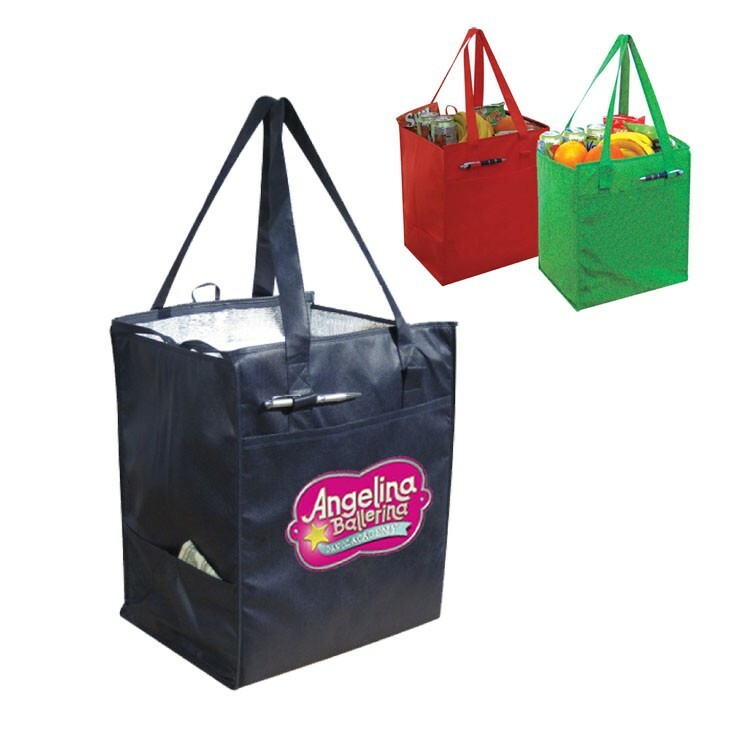 Insulated 90g non-woven polypropylene tote features a coated thermal film that helps keep food either warm or cold, depending on what you need. 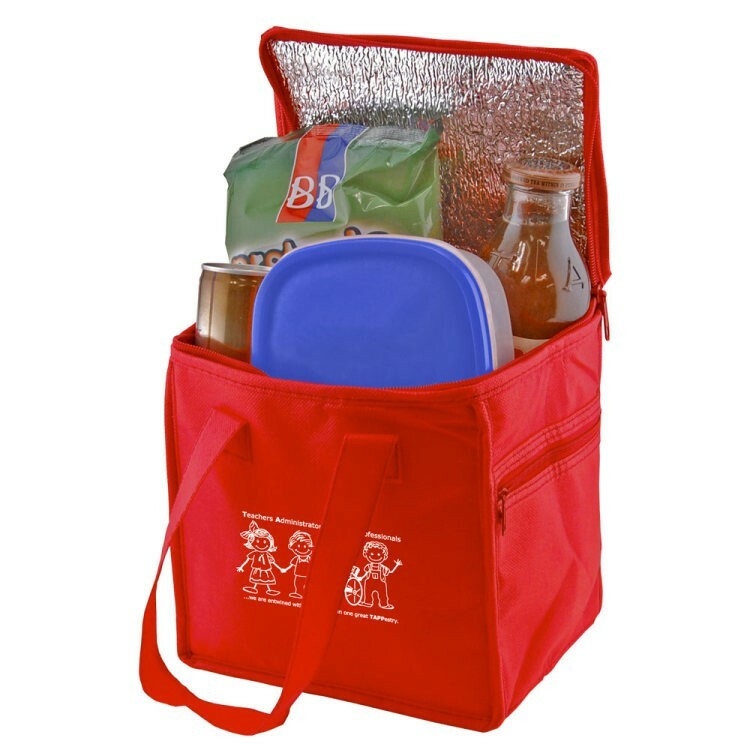 Zipper closure also helps retain temperatures and keep groceries contained. 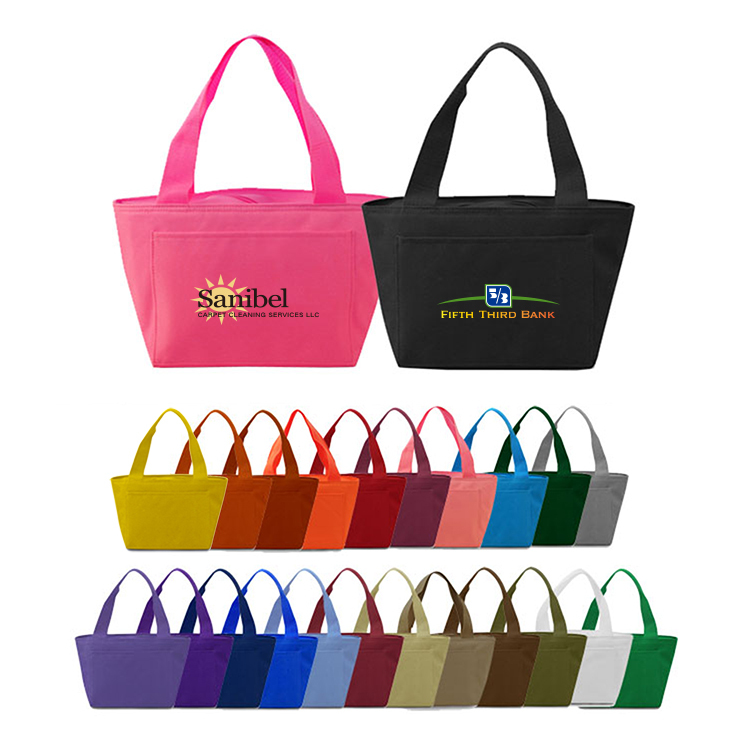 Dual 26" carrying handles with pen holders and a plastic bottom insert lend extra stability to the tote. 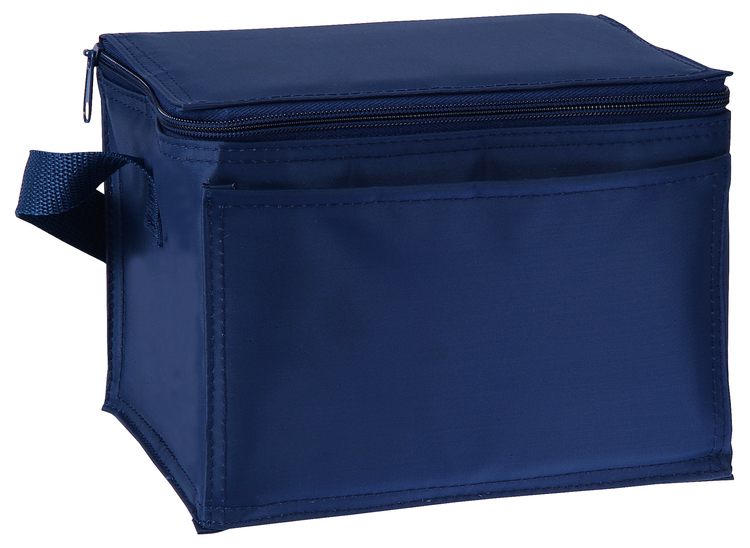 Cooler is made of 600D Polyester with heat-sealed water-resistant lining. 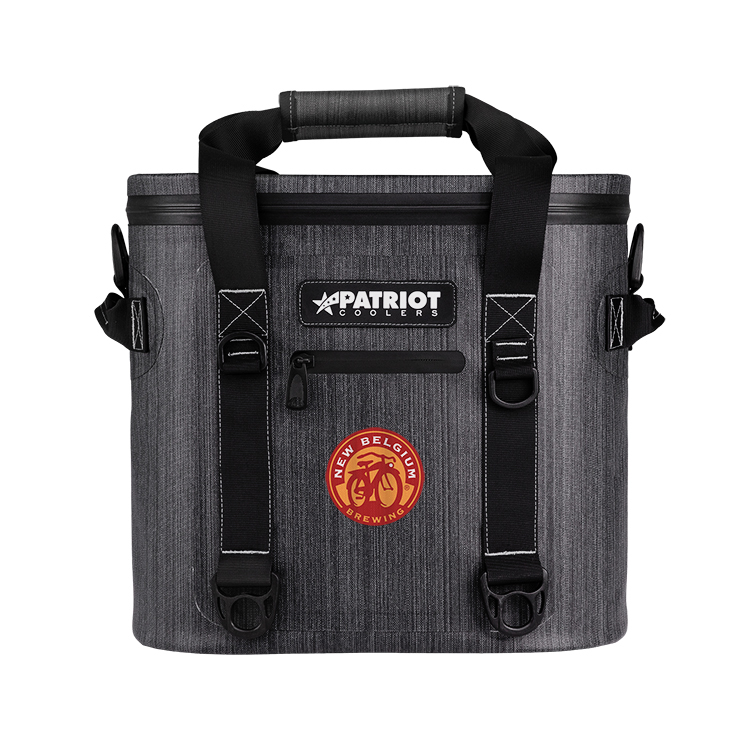 The cooler has a capacity of about 12 cans with additional room for ice, keeping your drinks cool longer. 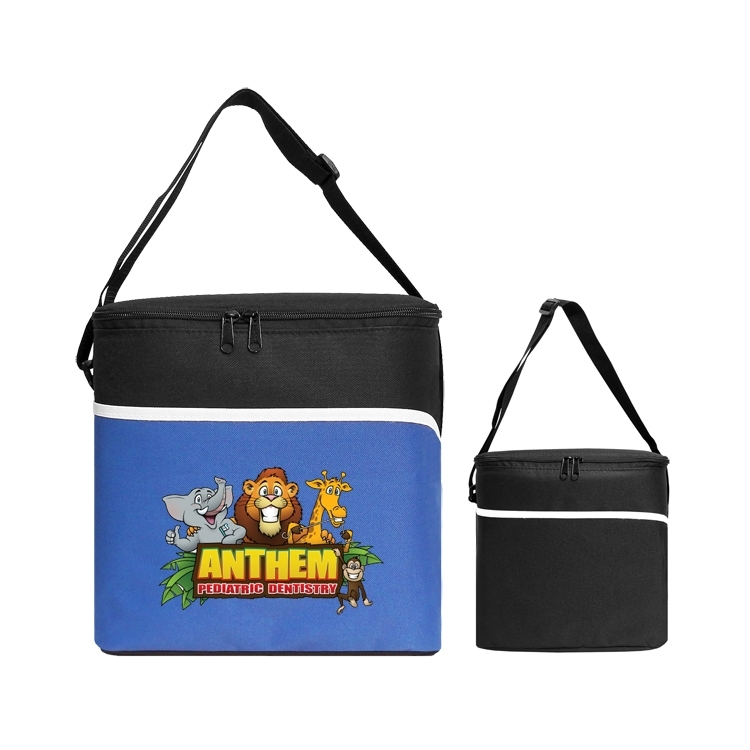 Features open pocket on the front with zipper closure, perfect for stashing straws and napkins. 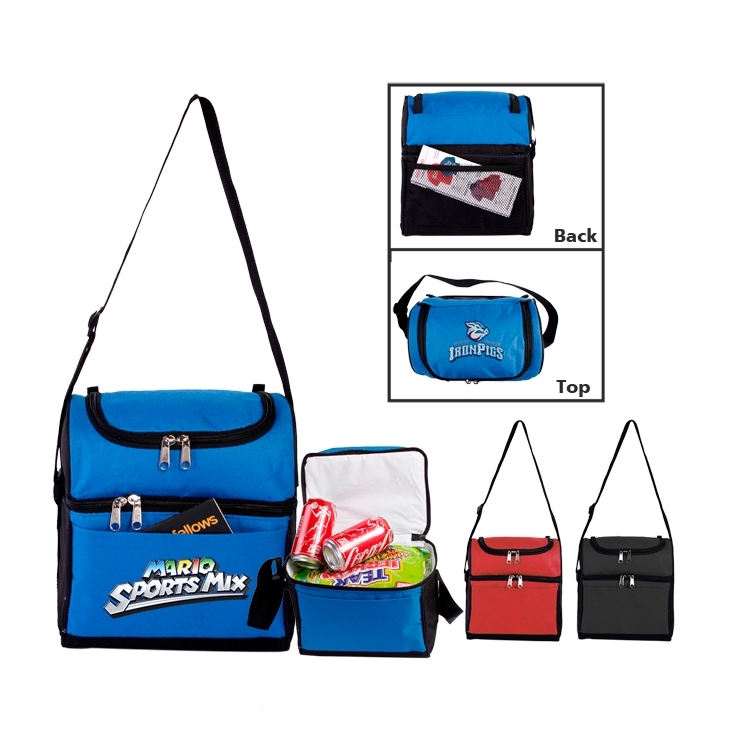 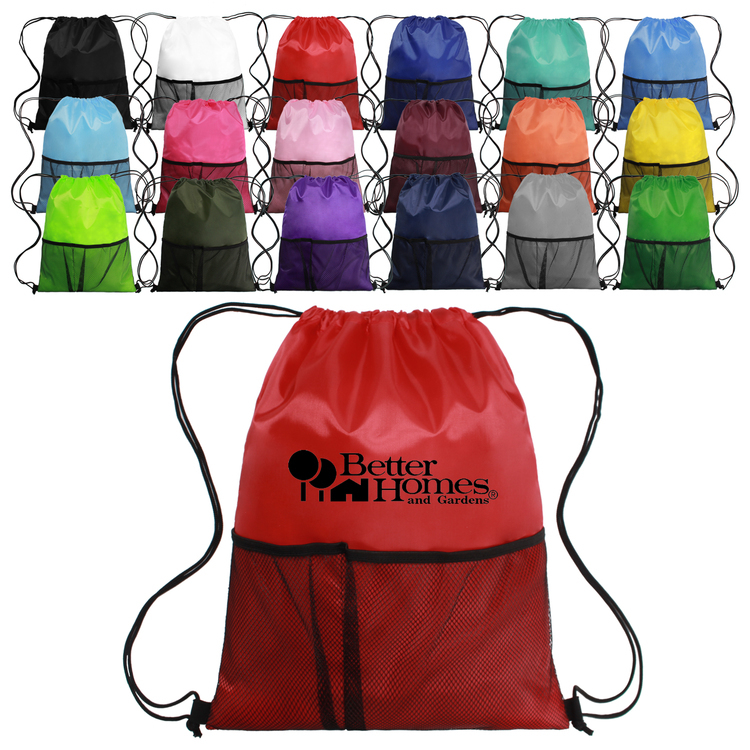 Includes adjustable shoulder strap for comfortable, hands-free carry and two side mesh pockets.